We’d love your help. Let us know what’s wrong with this preview of Atlas of Hispanic-American History by George Ochoa. To ask other readers questions about Atlas of Hispanic-American History, please sign up. Ochoa, G. and Smith, C. (2009). 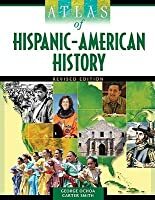 Atlas of Hispanic-American history (revised ed.). New, York, NY: InfoBase. Content/Scope: This edition covers a wide range of Hispanic Americans as well as charts, graphs, and maps relating to Hispanic Americans. The purpose is to inform readers about Hispanic-Americans and their influence on history. Accuracy/Authority/Bias: The author has written several hist Ochoa, G. and Smith, C. (2009). 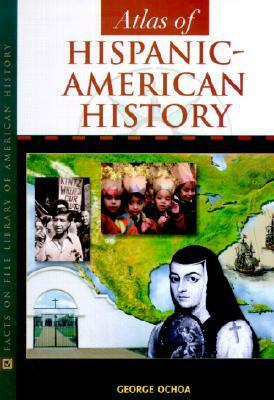 Atlas of Hispanic-American history (revised ed.). New, York, NY: InfoBase. Accuracy/Authority/Bias: The author has written several historical books for the Facts on File series in which this book is part of. This is also a revised edition indicating authority. Arrangement/Presentation: The book is presented with clear organization (chronological) and colorful graphics and text. There is also an index and bibliography. Relation to similar works: The collection does not currently contain any similar works. Timeliness/Permanence: Because of the relatively large population of Hispanic students, this book is timely for the population. This volume will likely have some amount of permanence until another edition would be written. However, the historical coverage would not likely change, just the present and more recent time period. Accessibility/Diversity: This book addresses the cultural diversity present in the school population. While the reading level is more appropriate for upper elementary grades, the graphics and pictures would be of interest to younger readers. This would also be a book that parents would find of interest on family reading nights, for example. Cost: This is a hardcover book which costs around $60, but the student need justifies the expense. Ochoa, G. & Smith, C. (2008). Atlas of hispanic-american history. New York, NY: Facts on File. Scope/Content: The purpose of this book is to use the geography of North, South, and Central America and discuss the history, culture, social and political aspects of Hispanic-Americans. Accuracy/Authority/Bias: George Ochoa has written other books about the history and culture of Hispanic-Americans. This book is geared towards that et Ochoa, G. & Smith, C. (2008). Atlas of hispanic-american history. New York, NY: Facts on File. Accuracy/Authority/Bias: George Ochoa has written other books about the history and culture of Hispanic-Americans. This book is geared towards that ethnic group but wants to teach others about their history. Facts on File is a well-known and trusted publisher. Arrangement and presentation: There are 250 pages that include maps, illustrations and text. 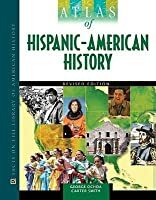 Relation to similar works: There are histories of other groups and even Hispanic-Americans but not combined with the geography making this book unique. Accessibility/Diversity: This book is for teens and adults alike and is geared to learning about the Hispanic-American culture. With the growing Hispanic population this book could be helpful to not only that population but all patrons.